Most of the good batsman stand completely outside the batting crease and even some times more to control the swing of the ball especially the fuller length swinging deliveries like swinging yorkers, half volleys and over pitching deliveries either it may be inswingers or outswingers. Here the word fuller length is important because the ball swings more in fuller lengths than compared to shorter lengths, the greater the ball in air the greater the chance for the ball to swing because we all know that the ball stays in air for longer time in fuller lengths before hitting the pitch or hitting the bat directly (Full Toss). 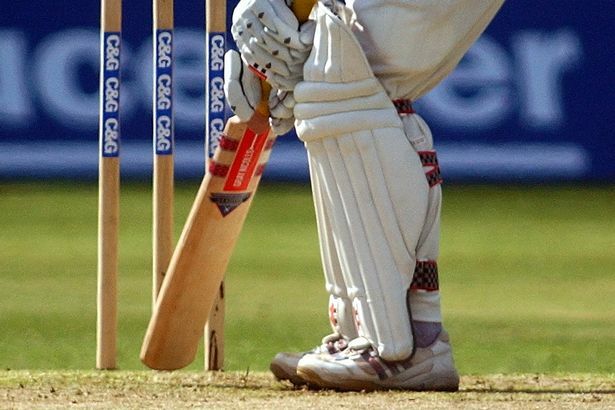 At the end of the day by standing completely outside the batting crease or sometimes way away from the crease the batsman will be able to overcome the leading outside edges of fuller length or good length outswinging deliveries. Similarly the batsman will be able to overcome the inside edges, incoming bowleds, LBW’s of inswinging fuller length or good length deliveries. Not only overcoming the swinging deliveries, some of the good batsman convert Yorkers into full tosses, half volleys into over pitching deliveries, good lengths into half volleys by standing completely outside the batting crease or sometimes just by walking outside the crease. In spin bowling the batsman never stands completely outside the batting crease because we know wicket keepers stay just behind the stumps in spin bowling. 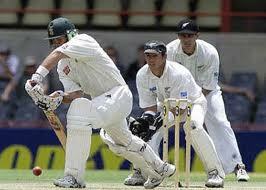 To overcome or control the spin of the flighted delivery of good lengths the batsman comes down the track using the feet gets closer to pitch of the ball as much as possible to play a shot. Here the batsman using the feet will be able to convert the good length deliveries into half volleys there by dominating the spin of the ball either it may be leg spin or off spin. Moving down the track outside the batting crease is the one way for the batsman to get rid of spinning deliveries, playing sweep shots with in the crease is the another way for the batsman to control over the spin bowling. 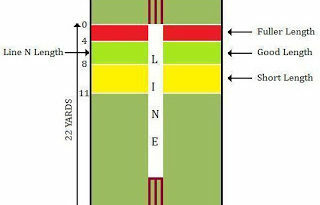 Here the batsman will be able to dominate the spin of the ball without moving down the track outside the batting crease. The specialty of sweep shots is, it has a great capability of covering any kind of good length or fuller length turning deliveries like either it may move way away from out side the off stump line or move way inside the leg stump line. Because of higher capability of dominating spin of the ball the word “sweep” has been named to this shot. If there is no bounce, playing sweep shots is always much safer option than “moving down the track outside the batting crease” to dominate spin of the ball either it may be bowled in good lengths or fuller lengths. 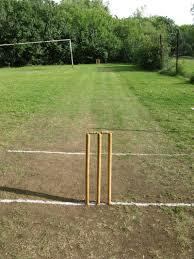 Since moving outside the batting crease is always a risk in getting stumped.